I've never tried the Galloway method but it seems to be super successful! I'll be doing my first marathon this year but I'm not sure if I'll be using this method to get to the finish! 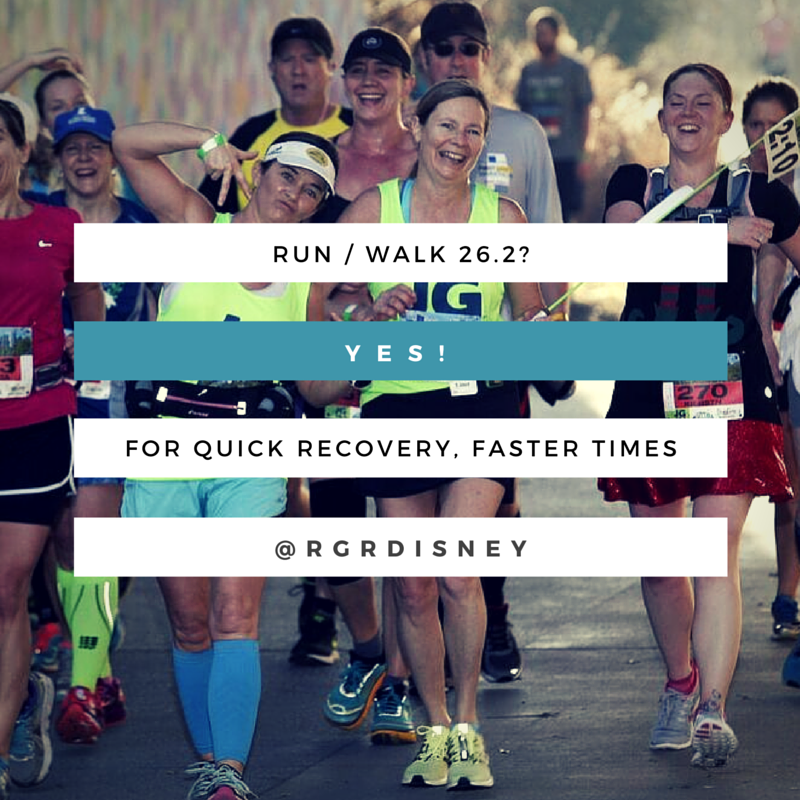 It worked great for me in all my half marathons. I'll be using it as I train to do the Dopey Challenge with my first full marathon for January. I've read is book on it as well, and the science behind why, and the way the muscles work is really cool. Even running at a higher level (read: fast and not me) it can still give a real boost, just you can do longer run segments to walk breaks in the ratio. It can work really well to have even just short scheduled ones. I do 1 min run to 30 seconds walk right now, but for much fitter people than me, even at much longer run sections, the 30 second - 1 minute break can make a huge difference on the run portions and improve the overall time, especially at longer distances. JG method really does work. And so good for avoiding injuries! That is a great additional benefit, to help run injury free!